50-inch brolly. The ideal basecamp for the beach angler or coarse and carp angler. Strong steel frame and 210D fabric with taped seams provide a stable, waterproof shelter. Come with an 80cm down pole with metal point to secure the brolly into the ground, it can also be setup Nebrolli style, allowing the pole to be placed at the back of the brolly. 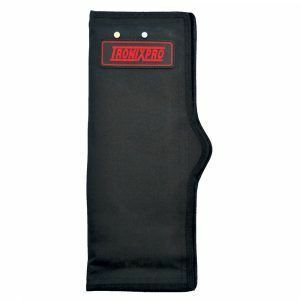 Pocketed flaps can be filled with sand or pebbles for added security. D rings allow it to be pegged. 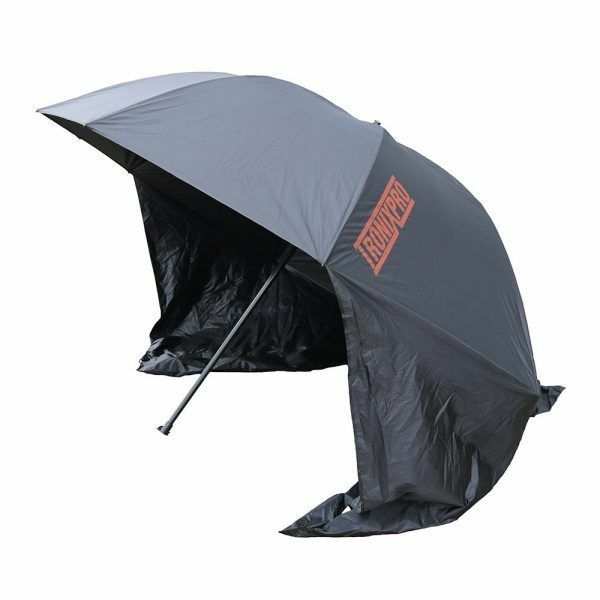 The Tronixpro Beach Brolly Shelter is a 50in fishing brolly that has been designed for use by sea anglers. 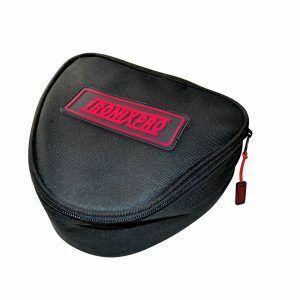 It is ideal for use on the beach or shingle for storing gear away from the elements. It creates the ideal base camp for baiting up, tying rigs or even making a brew! It features side flaps that keep the wind out of the brolly. Made from a strong steel frame and featuring 210D fabric, which has taped seams throughout to prevent any water ingress. 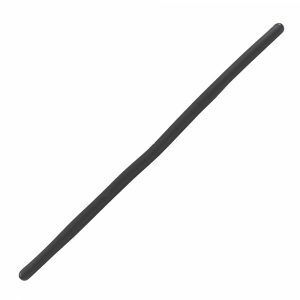 The 80cm down pole with a metal point is perfect for securing the brolly into the ground. It can also be setup Nubrolli style, which allows the centre pole to be removed and placed at the rear for an alternative shelter position, giving increased working space. The pocketed flaps around the sides can be filled with pebbles, sand or rocks to help give the brolly more security in high winds. For further reassurance, strategically placed D rings around all parts that touch the ground which can secure the brolly with T pegs and guy ropes. It also comes with a fabric sleeve, made of the same material for storage which packs down to a size that can be easily stored in our Double Quiver Bag. Although designed for the sea angler, the brolly is the perfect accompaniment for the coarse or carp angler too. In all black with a red Tronixpro logo, it will certainly stand out amongst the sea of green often witnessed at many a coarse or carp lake.